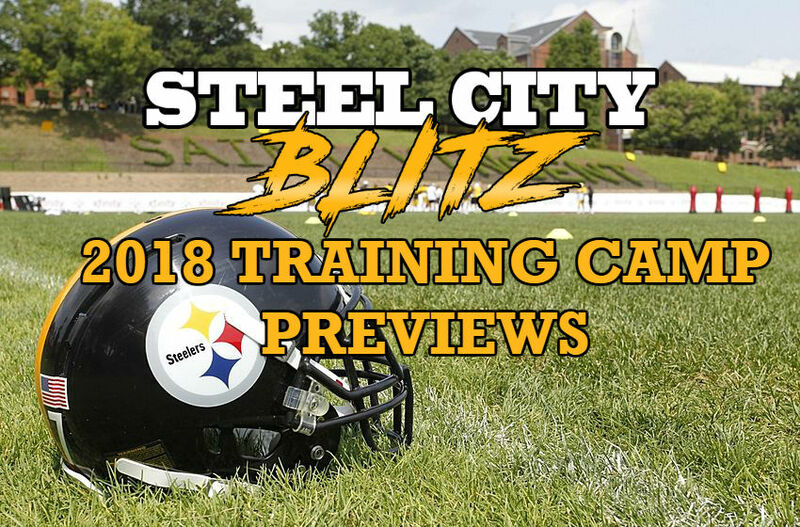 The Steelers report to St. Vincent College less than two weeks from now, on July 25th. Practices begin the following day with the conditioning test. We’ll get a sense then for who hasn’t prepared well enough for the quest for the seventh Lombardi Trophy that fans have been clamoring for since 2009. The organization has had some successful teams since, but none that were able to summit the mountain. 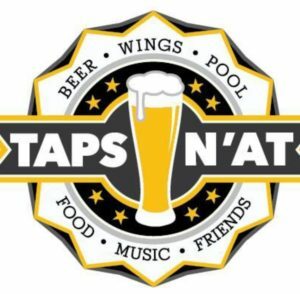 If you’re in Latrobe for camp be sure to visit our sponsor Taps n’at in neighboring Derry for a wide selection of craft beers (or just an Ahhrn) and delicious Western PA food faves. With the beginning of another chase for the seventh, we have begun our positional previews. Ian covered the quarterbacks on Thursday. Cnic previewed the running backs Friday. Today, we’ll cover the wide receiver position. 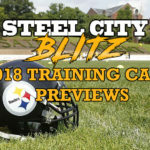 With the addition of James Washington and the absence of Eli Rogers, we’ll see something slightly different this year. Still, Antonio Brown will be the mainstay with JuJu Smith-Schuster now firmly entrenched as the number 2 wideout. I’d like to start with a quick synopsis of the differences in the WR positions. Yes, just like a shortstop, 2nd baseman and 3rd basemen are all infielders, wide receivers all have different responsibilities and are not necessarily interchangeable. The X receiver (for the Steelers, Antonio Brown) typically lines up to the weak side of the formation, must line up on the line and from there cannot go into motion. That receiver has to be shifty and strong enough to avoid or fight through jams on the line. The Z receiver, (for the Steelers last year, Martavis Bryant) typically lines up to the strong side, one yard off the line of scrimmage and can motion creating more favorable coverage matchups. The guy who takes the top of the defense lines up here. The slot receiver (for the Steelers last year, JuJu Smith-Schuster and Eli Rogers) lines up in the slot on either side, off the ball and can also motion. Having a “bigger” possession type slot receiver who can block gives teams an advantage in the run game. More on that later. Antonio Brown who recently turned 30 is one of, if not the best, wide receiver in football and works incredibly hard at refining his game; so much so that he’s very close to being as good as he possibly can be given his natural abilities. AB is that rare mixture of incredible talent with a work ethic that continues to astound those of us who watch his career progress. Great players usually have both and AB is a great player. I won’t bore you by listing his many accomplishments. I believe that you already know them. 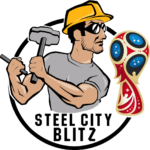 JuJu or JJSS as we frequently refer to him in our conversations on SCB Slack, has quickly become a fan favorite because of both his personality and his abilities. Not only does JuJu possess nice WR attributes, he also blocks very well, which aids running backs once they get to the 2nd level. DHB is still a special teams demon, one of the fastest guys on the team and capable backup WR. A lot of fans dislike him primarily because of his sometimes unreliable hands. The Steelers feel differently. The enigma that is Justin Hunter’s career is this: every year he’s been in the league he’s been the toast of training camp and the preseason, only to do very little when the regular season begins. The Steelers kept Tucker on the practice squad after he failed to overtake Eli Rogers for a spot in the slot rotation last year. They like his potential and brought him back this year with Rogers recovering from a torn ACL. Thomas spent a lot of 2017 on the Steelers practice squad, bouncing off when they needed a spot and back on when a spot opened up. He gets another shot in 2018. Jones has spent time with the Texans and Chiefs practice squads the past two years after being in camp with both teams. The Steelers 2nd round rookie figures to be in the mix to replace Martavis Bryant at the Z. He runs crisp routes, has big, strong, good hands and tracks the ball exceedingly well. Those qualities along with another that scouts refer to as build-up speed (he’s hard to keep up with the further he gets downfield) make him an almost ideal Z prospect. He’ll be the guy who stretches the field when he’s in there. Ever since Heath Miller left the team seems to be assigning 83 to a guy who either won’t make the team or won’t contribute much if he does. Henderson is the shifty little receiver out of Pitt that many hope makes the team to relieve AB of punt return duties. The thing is, if he can’t do more than return kicks, he’s a long shot. Griffey is the son of MLB great Ken Griffey, Jr and was drafted by the Mariners to play baseball. He played wide receiver for NCAA powerhouse Arizona (ok, that may be an exaggeration). He was out of football last year after being released by the Colts (injured) and Dolphins (caught on late, cut at final cutdown). AB, JuJu, DHB and Washington are locks to make this roster. Yes, DHB will be with the team again this year despite fan objection (which I truly do not understand). He offers both stability at the back end of the unit and veteran presence that aids in development of young players, as well as being a special teams standout. As long as all of that is true, DHB has the inside track at remaining a Pittsburgh Steeler. With those four presumably penciled in, there are one or two spots available for the others to compete for. Justin Hunter despite never reaching his presumed potential as a pro, is a guy the Steelers coaches like. He works hard, is a good example to the younger players by practicing hard as a member of the scout team and is a solid locker room guy. He has a shot, but I don’t think he makes the team if the Steelers only keep 5 wideouts. They need a backup slot receiver and Hunter as #5 will mean that rookie James Washington would have to learn both Z and slot. Hunter also doesn’t play special teams which is why he rarely dresses for games. Marcus Tucker has the inside track as that backup slot WR. I thought that he showed enough last year to demonstrate that he belonged on an NFL roster during the preseason. It was surprising to me that no team claimed him after final cuts. Quadree Henderson could also be in the mix to be the backup slot/KR/PR, and guys at the end of positional groups usually are special teams contributors. Justin Thomas, Tevin Jones, Damoun Patterson and Trey Griffey round out the group and are long shots to stick. Their best hope is likely to show enough in camp to stay on a roster as a member of a practice squad.